Rudolph – The Steve Yzerman of the Reindeer. Basically, if you are going to name “The Reindeer”, Rudolph is going to be the one you name unless you subscribe to the theory that Rudolph is not considered canon. He has his own line of toys, movies, books and his own song. So Rudolph is far away our #1. 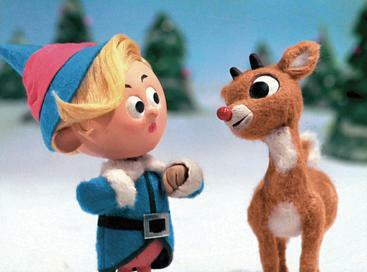 Prancer – The only other reindeer in the list with his own movie. Granted, I’ve never seen the movie, nor have I known anyone who has seen it. However, it stars Sam Elliott, who was in The Big Lebowski…so…yeah. Blitzen – If Nick Saban had a reindeer, this would probably be its name. However, since I refuse to rank a beaten team number one over an unbeaten team, Blitzen/Alabama will reside at number 3 on this list, but still safely inside the playoff. Dasher/Dancer (tie) – These are basically the same reindeer. Cupid – Cupid is a nice name for a cat, but what exactly is this reindeer’s action. Rudolph is the “red-nosed reindeer”, so we know what he does. Prancer prances, Dasher and Dancer dash and dance…Blitzen apparently runs out of the 46 defense. Is Cupid spreading love among the other reindeer? Vixen – Going off of our number 5…is Vixen a boy reindeer or a girl reindeer? Is this that confusing thing where Bambi was a male deer and yet has been adopted as a female name? If Vixen is a girl reindeer, she needs to be ranked higher. However, under the premise that this reindeer is a male named “Vixen”, he will let him sit here at number 6. Comet – Comet is the reindeer version of a puckhog. Obviously by his name, he has great speed. However, he has been relegated to the back of the reindeer order due to his inability to pace his fellow reindeer. Unable to control his speed, Comet’s attempts at leadership become unmitigated disasters leading to fatigue and ruined Christmases when his exhausted compatriates are unable to help Santa deliver gifts in time. Donner – This reindeer has to wear a muzzle for obvious reasons. Note: 303 refuses to recognize Olive the Other Reindeer as official Chrismas Canon. We also refuse to recognize obviously fake reindeer such as Colin Wilson’s “Jupiter” and Homer Simpson’s “Nixon” and “Donna Dixon”.